Ms. Davis comes to Steel City Squash with a wealth of experience working with youth, a strong educational background that has helped to inform her work, and a passion for the growth and development of young people through sports. After graduating from Michigan State with a BA in Family Community Services and a concentration in Child Development, she went on to work as the Program Coordinator for the 21st Century After School Program and later the Fusion Program, both located in Hazelwood, PA. At Michigan State, Ms. Davis competed on the Varsity Track and Field Team where she was named Big Ten Athlete of the Week twice, was awarded the Big Ten Sportsmanship Award, and was captain of the team for two seasons. Ms. Davis went on to receive her Masters of Science in Education with a concentration in Counselor Education at Duquesne University. During this program she gained experience as a School Counselor at a Spring Hill Elementary School, Perry High School and Mars Area Middle School. Since receiving her degree she has been working as a substitute teacher at St. Benedict The Moore School in the Hill District, where she worked with a number of our students and became interested in our program. 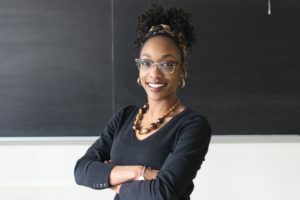 On top of her relevant and impressive credentials, Ms. Davis brings a warm and enthusiastic charisma that is infectious to both staff and students. We are so excited to have her on the team and can’t wait for all that she will bring to this program.